the hypothesis that the entire range of living matter on earth, from whales to viruses, and from oaks to algae, could be regarded as constituting a single living entity capable of manipulating the Earth’s atmosphere to suit its overall needs, and endowed with faculties and powers far beyond those of its constituent parts. Now, this may sound a bit out there to those of us not into ecology, but the book was genuinely interesting and the facts that Lovelock marshals really do make you stop and think. A lot of the book is concerned with speculation about how, for so many aeons, the world has supported life and not ended up as a ball of ice or a ball of rock. Lovelock explores the many and subtle mechanisms that keep the atmosphere and seas full of the right amounts of gases and elements. 1. The tendency to keep constant conditions for all terrestrial life. 3. Gaian responses to environmental change take a long time so sometimes things get worse before they get better. Intelligence is a property of living systems and is concerned with the ability to answer questions correctly. We might add, especially questions about those responses to the environment which affect the system’s survival… I Gaia exists then she is intelligent without doubt in this limited sense, at least. But, I suspect he thinks there is a deeper level of intelligence going on. If the amount of oxygen in the atmosphere increases by even just 4%, everything will become so flammable that any fire would get so out of control that it would actually burn everything in the world up. This also means that any science fiction films featuring spaceships landing in high oxygen worlds would never actually have happened because “the landing of the heroes’ spaceship would’ve destroyed the planet”. Something to look out for in future Star Trek novels. If you do decide to read this, I would recommend that you persevere past the first few chapters. Maybe it is just me, but there is a limit to the number of times I can read the word ‘entropy’ without losing faith in a book, but after a while I really began to be gripped by this book. The premise is intriguing and Lovelock manages to write an environmental book that is devoid of the hysterical fearmongering that can attach to such writings. But he does make the case that we need to know more about the interdependencies of the world to make sure we don’t do something stupid in the future. There can be no prescription, no set of rules for living within Gaia. For each of our different actions there are only consequences. Tags: book, book review, books, environment, gaia, james lovelock, planet, science, world. Bookmark the permalink. Thank you! Glad you enjoyed reading it. 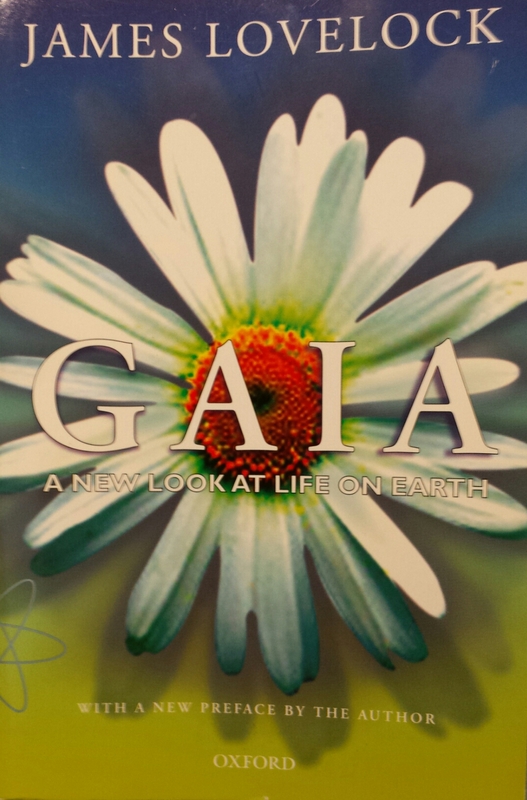 Have you come across Gaia before? It brings back memories of lectures about black daisies and white daisies… but have we gone past the point where the world can bring itself back into equilibrium?